The shift from walking and cycling to motorised transportation causes more problems than it can ever solve. 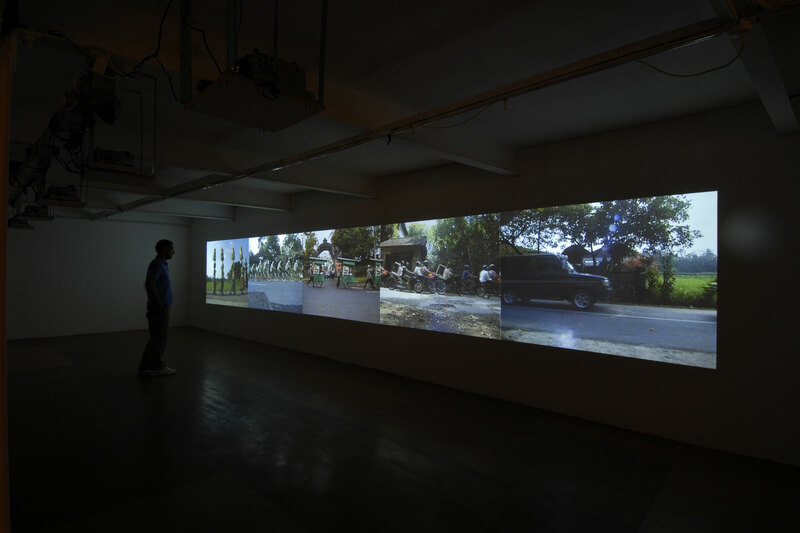 Moving On explores this dichotomy by creating an endless convoy that passes through the evolution of transportation. 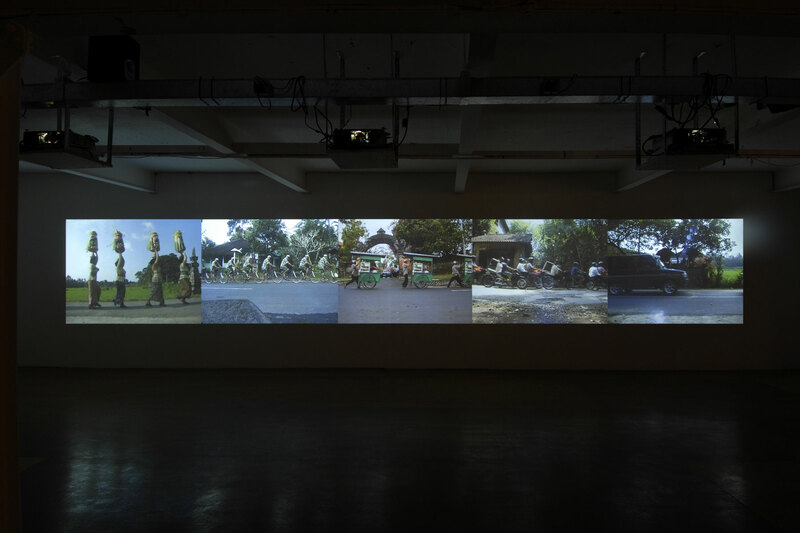 A parade of women transforms into an endless bicycle, which shifts up gear into a stream of motorbikes, climaxing in a cacophony of cars, vans and lorries. Every country has developed over generations a living and working pattern that reflects its own particular needs. Since the industrial revolution, these systems have become increasingly homogenised as Western countries have increased their sphere of influence. Moving On suggests that Bali has protected itself from many of these changes but its transport system most visibly reflects the embracing of Western values.